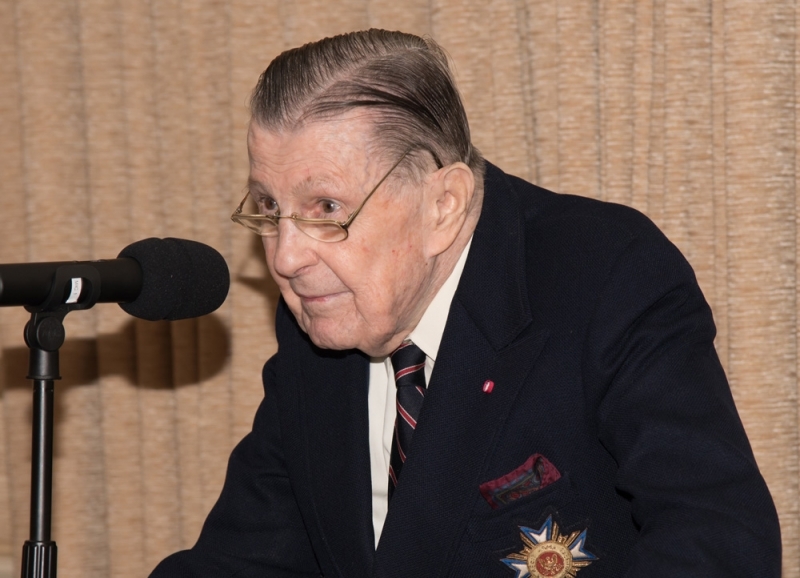 It is with great regret that the Board of Directors of the Russian Nobility Association in America announces the death of our Chairman Emeritus and former Treasurer, Prince Ivan Sergeievich Obolensky-Neledinsky-Meletsky on the 29th of January, 2019. Obolensky was born in London on 15 May, 1925, and at the age of two weeks, immigrated to the United States aboard his uncle Vincent Astor’s yacht the “Nourmahal.” He was raised in New York, attended the Buckley School in Manhattan, St. George’s School in Newport, Rhode Island, and was graduated from Yale University in 1947. Following in his family’s long tradition of military service, Obolensky served as a Lieutenant in the United States Navy. In 1956, Obolensky published his novel, Rogue’s March, released by Random House. He later founded the publishing firm of McDowell-Obolensky that published James Agee’s Pulitzer-prize winning novel A Death in the Family. The firm also published the memoirs of Obolensky’s father One Man in His Time, an exceptional look at his life in Imperial Russia and during the Revolution of 1917 and the Russian Civil War. In 1965, he joined the investment banking firm of A.T. Brod & Company as a financial analyst. He served as Vice President of Moseley, Hallgarten, Estabrook & Weeden Inc., Vice President of Shields & Company and was still active in his work at Raymond James in the weeks prior to his death. 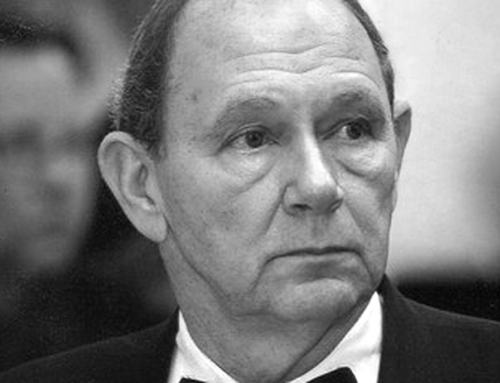 Obolensky was an active member of the board of directors of the Russian Nobility Association for decades, and served as treasurer and chairman until 2018. 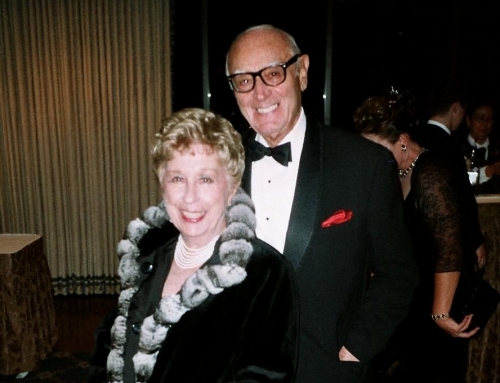 He was, in the tradition of both the Obolensky and Astor families, a benefactor and champion of charities across a broad range of support. In addition to the Russian Nobility Association he actively participated in or headed causes that included the Soldiers’, Sailors’, Marines’, Coast Guard and Airmen’s Club, Children’s Cancer and Blood Foundation, the International Debutante Ball of New York, and the Orthodox Order of St John of Jerusalem. Prince Obolensky was married firstly in 1949 to Claire Elizabeth McGinnis (1929 – 2015) of San Francisco with whom he had two sons and daughter: Marina “Maria” Ivanovna Obolensky, Ivan Ivanovich Obolensky, and David Ivanovich Obolensky. He married secondly Mary Elizabeth Morris (1934 – 2006) in 1959, and had one son, Sergei Ivanovich Obolensky. In lieu of flowers, please send donations to the SSMAC at 283 Lexington Avenue, New York, NY 10016. A Memorial Service will be held at The Church of the Incarnation on Madison Avenue at 35th Street, NYC on February 7th at 4pm.